Tops in Blue members perform for Airmen and Soldiers April 26 at Kirkuk Air Base, Iraq. Tops in Blue's goal is to enhance mission productivity for Air Force members around the world. 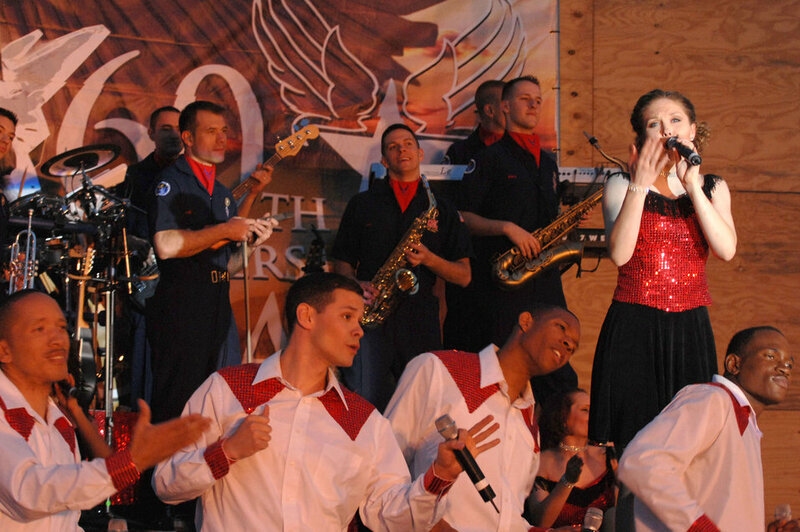 Tops In Blue Airmen perform an average of 120 performances at 100 locations worldwide each year.